The Israel Supreme Court has issued a ruling concerning the rights and wrongs of parallel importing and related marketing and advertising. This is the first time that they have ruled on this issue. The Supreme Court ruled that parallel importing is legitimate, as is marking the goods with the trademarks. The licensed importer or franchisee cannot prevent parallel importing, but it is important that the name of the company doing the parallel importing does not imply that the parallel importer has a relationship with the mark holder and has to actively take steps to make clear that they are not the licensed importer. The licensed importer does not have to guarantee or provide a service for the parallel imported goods and the parallel importer that the public are made aware that the parallel imported goods are not covered by the importer’s warranty and servicing obligations. The Israel Supreme Court partially upheld the ruling of the Court of First Instance that the parallel importers had infringed the registered licensee’s trademark and were also guilty of passing off. This was due to the name of their business, not the parallel importing itself. The Supreme Court decreased both the damages award and the restrictions imposed by the Court of First Instance. The Appellants, Elad Suissa and Importer Warehouse 42 LTD. imported clothing carrying the Tommy Hilfiger brand, despite not being the licensed importer registered in the Trademark Register and also not having any contractual relationship with the licensee. The Appellants purchased the goods abroad from legitimate suppliers in countries where the prices were lower than in Israel. They traded under the name ‘Importer’s Warehouse – Tommy Hilfiger’ and advertised themselves as selling premium bands at discounted prices. They operated a website www.tomm4less.co.il. The licensed importer Sea & Shells LTD, together with Tommy Hilfiger Licensing LLC. Tommy Hilfiger USA INC. and Tommy Hilfiger Europe BV sued Elad Suissa and Importer Warehouse 42 LTD on various grounds of unfair trade and trademark issues. The Court of First Instance ruled that the parallel importers should pay 457,000 NIS in damages and issued a permanent injunction against them. The Appellants argued that they should not be restricted from parallel importing in circumstances where this is legal. The Supreme Court partially accepted Appeal 7629/12 by the parallel importer, and rejected the appeal 8848/12 by Tommy Hilfiger. The starting position is that parallel importing is legal. Parallel Importing is not trademark infringement and is not Unjust Enrichment by the Parallel Importer. However this does not mean to say that there are no restrictions on the parallel importer. The parallel importer is subject to trademark law, fair trading laws and the Law Against Unjust Enrichment. In Pezachim, using the registered trademark in connection with legitimate goods carrying the mark was considered “True Use” under Section 47 of the Trademark Ordinance. In Toto Zahav, it was ruled that such a use of original goods is an infringement. The case-law of the District Court adopted tests from US case law: If the items cannot be identified without using the trademark it is legitimate to use the trademark. However, usage must be limited to that which is necessary to identify the goods as being genuine and no more, and there should be no indication that the retail outlet is sponsored by or affiliated to the mark holder. Toto Zahav did not relate to parallel importing and, in cases of parallel importing, the Toto Zahav ruling should be modified. Parallel Imported genuine items do not fall under the guidelines of Toto Zahav. Their sale is not trademark infringement and the goods do not have to have been purchased directly from the rights owner. However, marketing activity relating to such goods may be considered trademark infringement. Servicing and maintenance services have to be recognized for the servicing laboratory to be able to use the registered trademark. Parallel imported goods are not subject to warranties and guarantees of the registered importer and parallel importer has to take care that it is clear that his parallel imported goods are not covered by such warrantees. Passing Off requires a reputation of the rights holder, and, in addition to the mark owner, the legitimate importer or licensee may have rights in the brand and may be able to sue for passing off. The concept of ‘dilution’ does not apply to parallel importing and cannot be claimed by either the mark owner or the licensed importer. However, where the reputation is built on service and the like, sale of the goods by a parallel importer such that the service agreement does not apply, may be considered passing off. In the present case, sale and publicity of the goods themselves and the website www.tomm4less.co.il are considered as being truthful. Using the company’s colours is also unlikely, in and of itself to cause confusion. Trading under the name ‘Importer’s Warehouse – Tommy Hilfinger’ is considered trademark infringement of the rights of Tommy Hilfiger Licensing LLC. 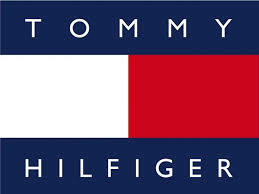 Tommy Hilfiger USA INC. and Tommy Hilfiger Europe BV. This is not infringement of the rights of the licensed importer Sea & Shells LTD however, since they themselves do not have a reputation. There is no additional element such as bad faith to warrant granting damages under the Law of Unjust Enrichment. The Parallel Importer must cease to use the name ‘Importer’s Warehouse – Tommy Hilfinger’ and have to pay 100,000 Shekels as estimated damages for their infringing use and have to mention in their advertising that they are not a franchise or otherwise acting under the supervision of Tommy Hilfiger. The costs awarded by the District Court are canceled and Tommy Hilfiger et al. have to pay 25,000 Shekels costs to the parallel importer. This is old news: the Supreme Court decided a similar case years ago, in which someone who had an exclusive license to import Parker pens sued an unauthorized importer; the unauthorized (i.e. parallel) importation was found not to constitute TM infringement since the mark did not mis-identify the source of the goods, which were in fact genuine Parker pens. The Israel Supreme Court think this is news and that this is the first case of its kind. I don’t remember the Parker pen case. If you can please reference the case you mentioned, will happily review it. In the so-called Parker pen case it is resolved that parallel importing is legal. However, the Parker pen case does not relate to trademark infringement. (Only with regard to the Law of Unjust Enrichment does the Parker pen case considers trademarks as an additional element needed to constitute Unjust Enrichment). In this sense, the present case is indeed news, as it treats trademark infringement in case of parallel importing.